A most beautiful and entirely complete pair of Boar Tusks, which are anomalous, for their hollow interior. 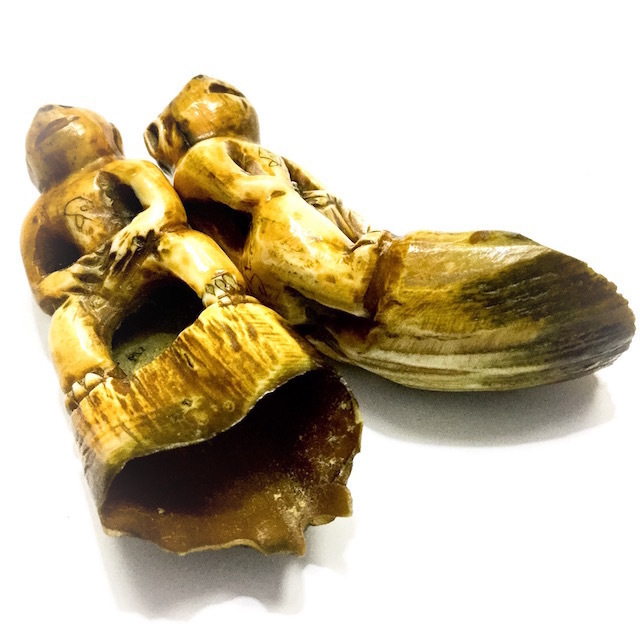 Hollow Boar Tusks, Elephant Tusks, and Tiger Teeth are known as 'Proeng' (which means hollow). The boars tusk Is known for its extreme power to ward off all dangers and to repel all attacks be they with projectile weapons, or sharp instruments. 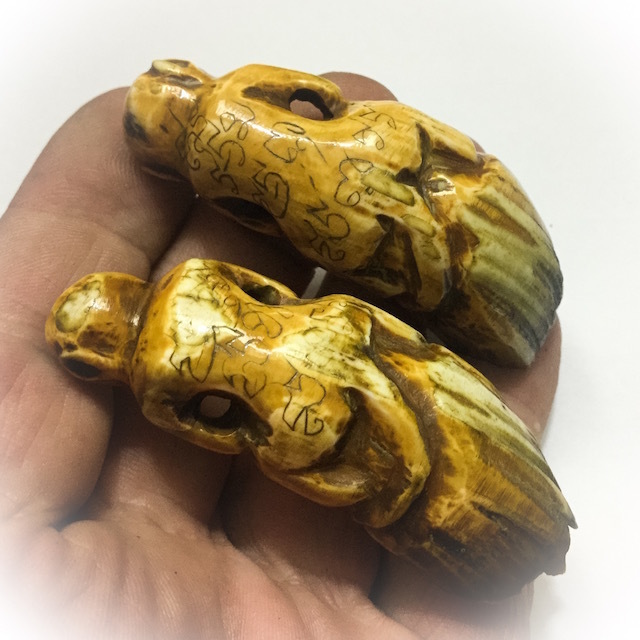 The great power to attract wealth and treasures is also attributed to the wild boars tusk, as an Inherent magical quality. It's power to ward off all evil and black magic is second to none. 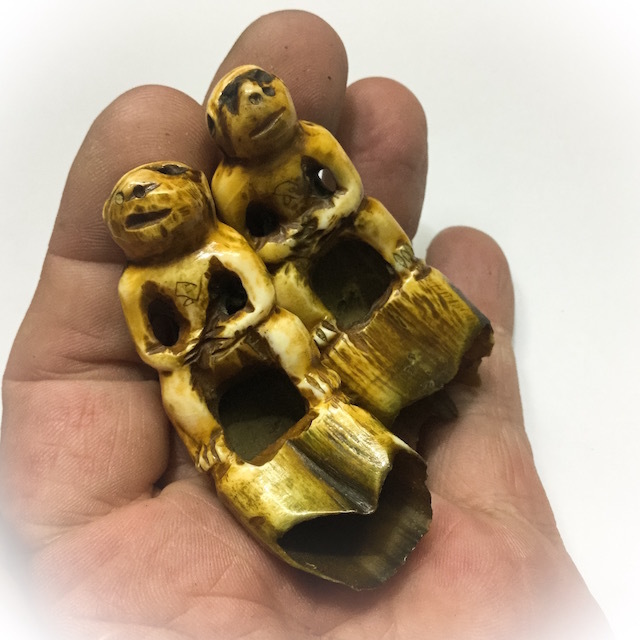 In modern times its rarity has increased incredibly, as Less and less occult charms of this kind, e.g teeth, bone and ivory tusks, animal skins and boars tusk. 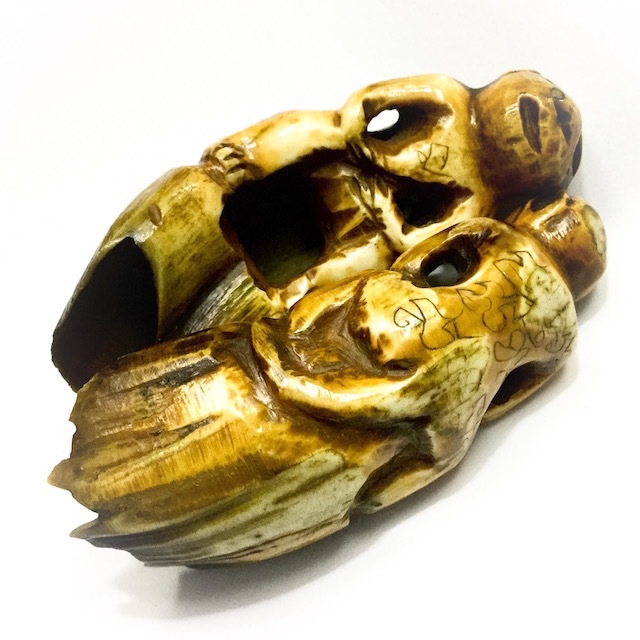 Khiaw Proeng Moo Tusks are considered to have immense sorcerous power carved into the shape of a Vanora ('Ling Wanorn' in Thai - the Humanoid Simian Denizens of the Himapant Celestial realm, and minions of the God Hanuman), with hand made Khom Agkhara spell inscriptions on the surface. 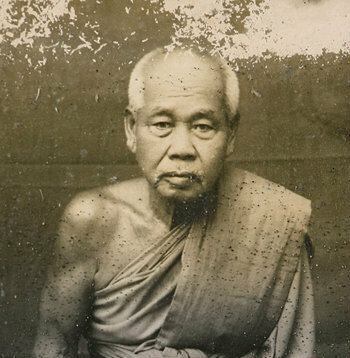 The amulet is from Luang Por Ding, Master Monk of Wat Bang Wua. 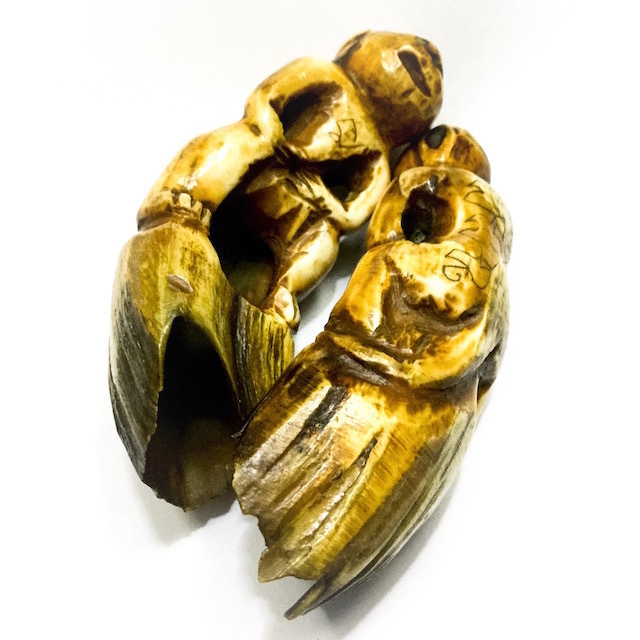 This tooth is from the 'Paya Moo' King Boar, and is a large tusk of impressive appearance, and extremely rare artifact for its excellent Patina, and Pristine appearance. 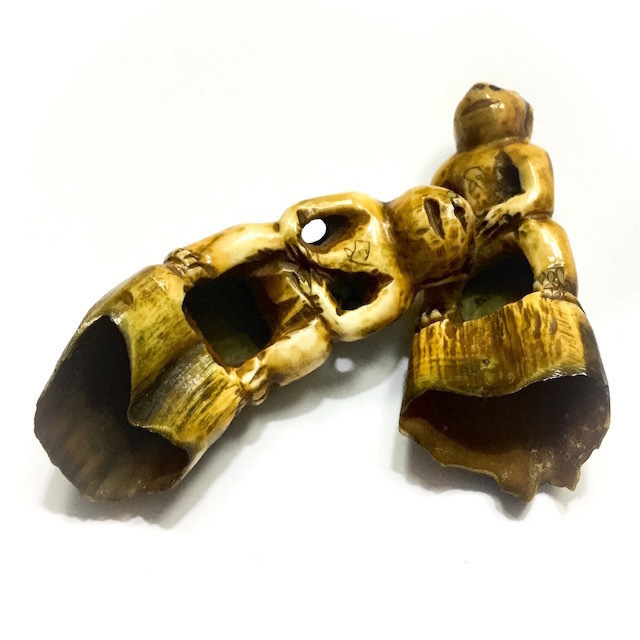 The Khiaw Moo Proeng measures 2.5 Inches Long, and is a 'Khiaw Proeng', the rarest of all types of Khiaw Moo, excepting its larger brother, the legendary 'Khiaw Moo Proeng Fa' - Giant Hollow King Boar Tusks, which are no longer made in the modern age, and only Ancient Amulets made before the protection laws exist are in legal circulation. Khiaw Moo Boars Tusks are full of Maha Amnaj, Kong Grapan Chadtri and Klaew Klaad Magick, and possess Anti Black Magick Forces in their very nature. 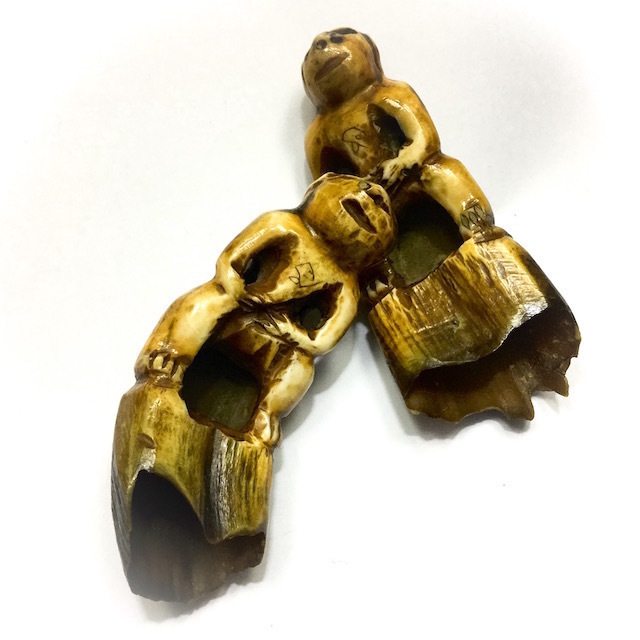 An excellent Status Increase Talisman to Impose your Superiority and Status and Rank over others, and to protect you from deadly Dangers and Weaponry, as well as to Increase Power, Influence and Chances of Promotion.